Back Corset Booties Just $24.99! Down From $70! Shipped! You are here: Home / Great Deals / Back Corset Booties Just $24.99! Down From $70! Shipped! Until February 12 only! 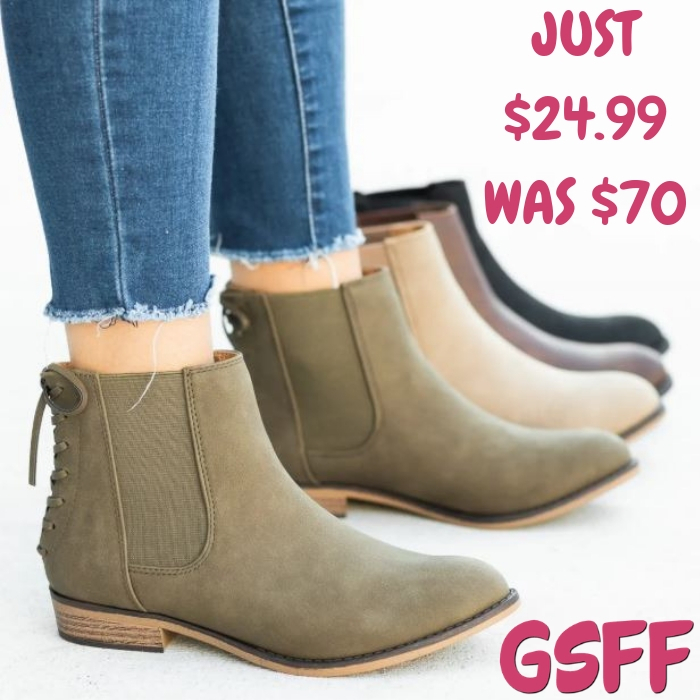 At Jane, you can score these Back Corset Chelsea Booties for just $24.99 down from $69.99 PLUS FREE shipping! These chic shoes are adorable! You’re going to absolutely love the Chelsea style booties! You can grab these with a stylish back tie up look and side Chelsea style.